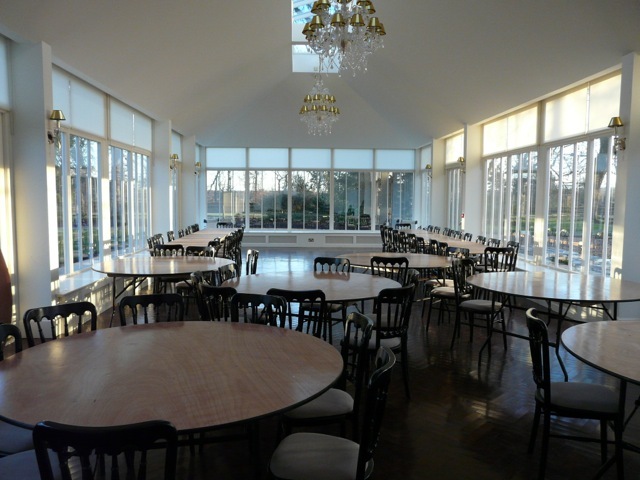 Large dining/function room area with large tall windows surrounding. White walls. Chandeliers hanging from white ceiling.